Stay in Wales's best hotels! Hotel Indigo - Cardiff is located in Cardiff, 656 feet from St David's Hall and 984 feet from Cardiff Castle. The hotel has a terrace and fitness center, and guests can enjoy a drink at the bar. Wonderful staff, great location, very nice and clean rooms. The staff was really good, they offered to book the transportation to the Airport and did everything to assure my stay was a lovely one! Built by a visionary architect in 1925, Portmeirion Village & Castell Deudraeth overlooks the beautiful Dywryd Estaury. Location, comfort, amenity, responsive staff. Talardy Hotel by Marston’s Inns offers attractive en suite accommodations in St Asaph, North Wales. Lovely staff and accommodation. Located within Snowdonia National Park, Aberdunant Hall Country Hotel is a 17th-century property set within 200-acres of woodland on an beautiful upmarket Holiday Home Park. Overall this was a wonderful hotel as a location for our hikes to Snowden, Yr Eifl, Tryfan, and all the lakes. Coming back after a day of hiking to a beer and the restaurant was a real joy. Ours was a great five-night stay. The hotel has a cozy, intimate feel, well appointed, with large well stocked Welsh/English breakfasts (including eggs to your order) and very tasty dinners. Our room, the king spa, was spacious with good circulation, views, a spa bath and shower. The staff (especially George, Kelie, Lois and others) are all very friendly and helpful. Service has been wonderful. They even let me print out a 12-page hiking guide from the internet for free. The free parking seems plentiful and the setting is out of the way but close to the hikes. The bar area was a lot of fun, especially on Friday evening with a live singer who played electric guitar. Otherwise the place was quiet. Near by , Beddeglert is worth checking out… quaint village with a wood shop full of carved dragons like the one in the hotel lobby matching the Welch flag. The Priory is nestled within the historic town of Caerleon on the River Usk. Dating back to 1180, this hotel was originally a Cistercian monastery. The hotel lived up to my expectation. A very good location . A great place for people watching ,as its very busy. Beautiful gardens ,& lots of history surrounding the town. With 125 air-conditioned bedrooms, Holiday Inn Express Newport is a modern hotel, offering ample free private parking and free WiFi throughout. Well connected, close to motor way. The Black Boy is a 16th-century inn within Caernarfon's historic town walls. Loved the age and charm of the building. Appreciated the history. Had all the modern comforts even with the age. This renowned hotel features one of the most breathtaking views and marine locations in Wales, overlooking Cardigan Bay, the rugged coastline, the Teifi Estuary and the broad sweep of Poppit Sands. WE were driven around the area by friends who live locally. Such an interesting area. Would quite like to live there myself. The Royal George Tintern is located in Tintern. Among the facilities of this property are a restaurant, a shared lounge and a business center, along with free WiFi. Awesome location. Great staff. Room very comfortable. We ate dinner in the restaurant. Located in Barry, 1.8 miles from Penmark Castle, Vale Park Hotel provides a garden and shared lounge. Built in 1980, the property is within 2.7 miles of Fonmon Castle. The property has a restaurant. Owners were very accomodating and treated me like family. Truly a Welsh welcome in the Vale. Located in Church Stoke, Mellington Hall Country House Hotel provides a garden and free WiFi. Among the various facilities are a terrace and a shared lounge. Guests can have a drink at the bar. The building, faciliities, food and staff were all exemplary. Located in Talgarth, Tower Hotel features a terrace and shared lounge. This hotel offers free WiFi. At the hotel, every room has a desk. The private bathroom is fitted with a bath or shower. Great consistent breakfast, we stayed here before and was the same hi quality! Featuring a garden and free WiFi, The Hanmer Arms is located in Hanmer. 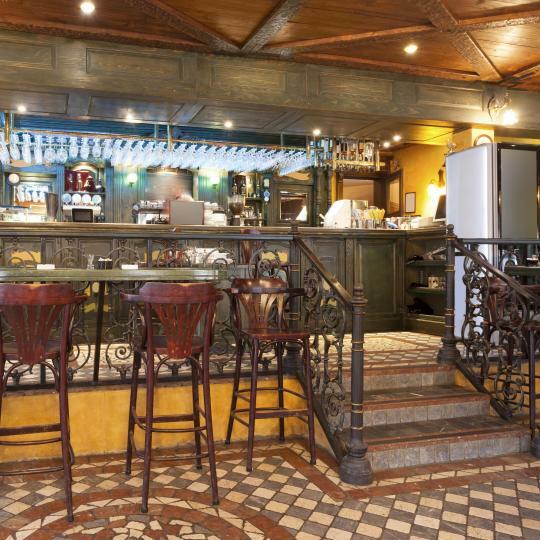 This 4-star hotel offers a bar. The restaurant serves British cuisine. Food was delicious - the baked fig starter was beautiful! Located in Llanbedr, Hafan Artro offers accommodations with a garden. This hotel offers free WiFi. Free private parking is available on site. Every single staff member was charismatic and friendly. The rooms were clean and homey. Located in Caernarfon, a 6-minute walk from Caernarfon Castle, Ty Castell provides accommodations with a bar. Each room at the 4-star hotel has city views and free WiFi. Recently renovated - Great staff - Great Location. A very good value. The Greyhound Inn and Hotel is located in Usk, 2.5 mi from Usk Castle. Free WiFi is provided. At the hotel, rooms are equipped with a desk and a flat-screen TV. Great location and excellent room. Staff freindly and helpful. Great breakfast. Hope to go back. Located in Llandudno in the Gwynedd Region, 656 feet from Llandudno Pier, Belmont Llandudno features a terrace and guests can enjoy the on-site bar. Each room has a flat-screen TV. Good breakfast and very helpful staffs. Llanina Arms is located in Llanarth and features a garden. This 4-star hotel offers a shared lounge. Free WiFi is included. Guest rooms in the hotel are equipped with an electric tea pot. Easy to find ample parking. Owner very friendly and welcoming as all staff we met were. St.Teresa's Hotel is offering accommodations in Tenby. The property is around 2.8 miles from Tenby Castle and 4.5 miles from Carew Castle. Italian cuisine is served at the restaurant. Excellent location right opposite the castellated town entrance. Featuring a bar, The Tilman is located in Barmouth. At the hotel, rooms have a desk, a flat-screen TV and a private bathroom. All units at The Tilman include air conditioning and a wardrobe. The beds where so comfy bedding was hi spec, and so where the large fluffy white towels amazing. Located in Monmouth, 3.1 miles from Monmouth Castle, The King's Head Wetherspoon provides a garden and rooms with free WiFi access. Beds were comfortable, good facilities and good value. Lovely staff. Featuring a garden and a bar, Caulfields Hotel is located in Burry Port. British cuisine is served at the restaurant. All rooms in the hotel are equipped with an electric tea pot. As soon as we arrived we were greeted by a member of staff who was happy and willing to he. Twr y Felin Hotel is located in St. Davids, Pembrokeshire. and has a garden and a bar. The property is set 1969 feet from St David's Cathedral and 3.7 mi from Roch Castle. Location. Excellent facility. Very helpful staff! Able to walk into town with ease! 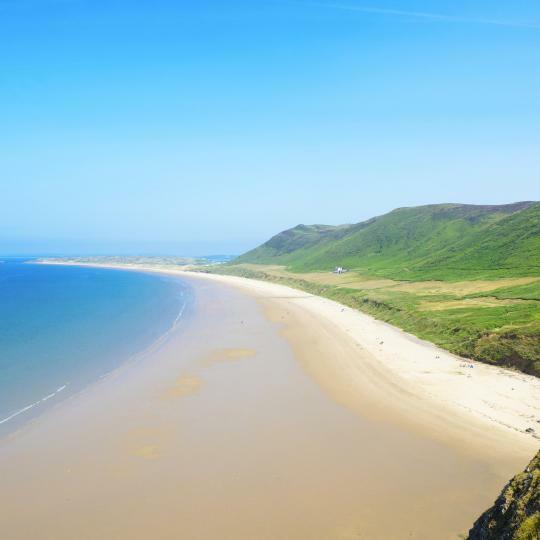 Featuring views across Ormes Bay, the Wildings Hotel is located on the seafront in Llandudno. It offers a terrace and rooms with a private bathroom. The accommodation was good, clean rooms and friendly, helpful staff. Offering a restaurant with outdoor dining and a bar, Llanerch Vineyard is located in Hensol. Exceptional stay. My only regret is not making time to stay longer. Located in Cardiff city center, Cathedral 73 is a Victorian townhouse with a funky, fresh and fashionable design. The accommodations met our expectations. 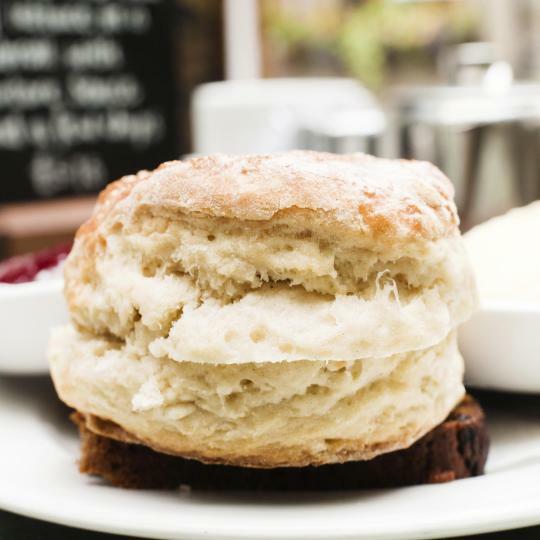 Gwesty Cymru Hotel & Restaurant is set on Aberystwyth’s Victorian, seafront promenade and overlooks Cardigan Bay in the West Wales county of Ceredigion. Kind welcome, beautiful room, excellent food! 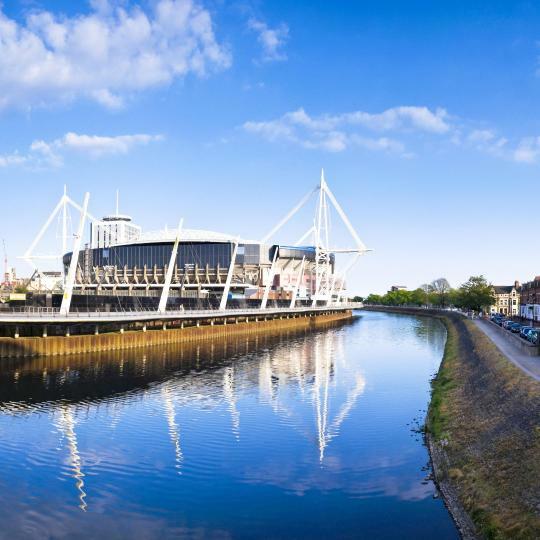 The Welsh are passionate about rugby and there is no better venue to enjoy a 6 Nations, World Cup or friendly play-off. 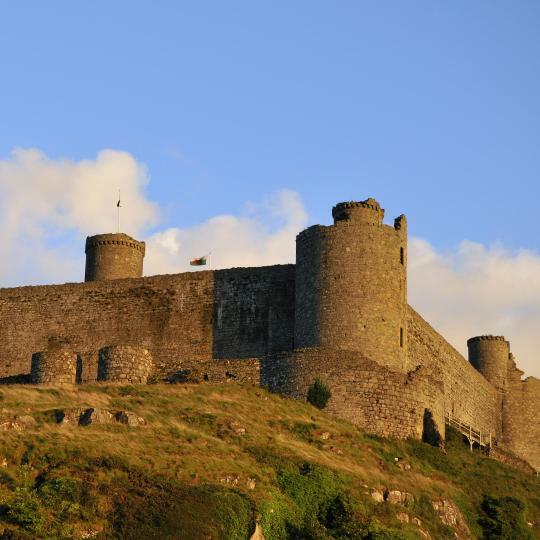 Over 500 ancient castles can be found across Wales - from the north’s Conwy Castle to the Caldicot in the south. Cardiff has a wide range of shopping outlets from charming Edwardian and Victorian arcades, to ultra-modern shopping centres. West Wales’ 1600 miles of scenic coastline includes Tenby, once voted Europe’s Number 1 Beach Destination. Other highlights include 3 Cliffs Bay and Broad Haven. Spectacular Brecon Beacons is home to 4 mountain ranges, ancient monuments and waterfalls. Colourful towns, pubs and Michelin-starred restaurants can be found nearby. 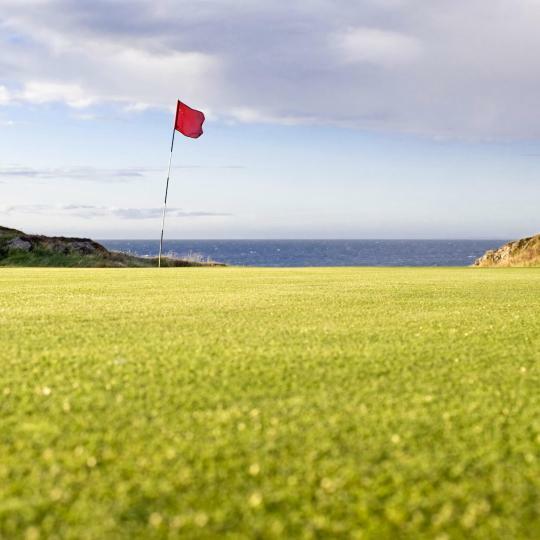 South Wales is home to some fantastic golfing, including St David’s and The Celtic Manor, which hosted the 2010 Ryder Cup. 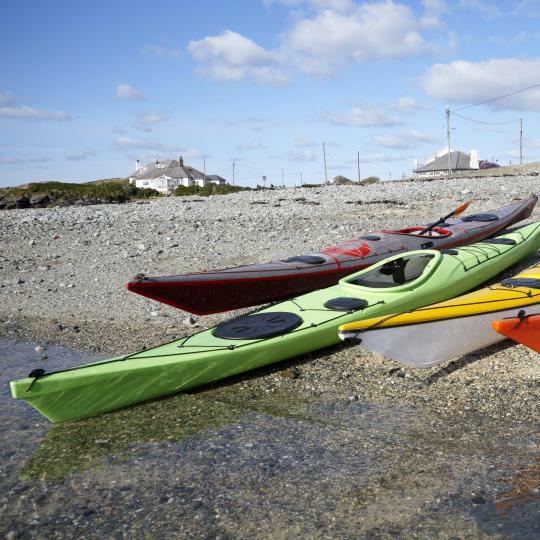 South Wales’ coastline is a great spot for surfing, kayaking, coasteering, surfing and white-water rafting. 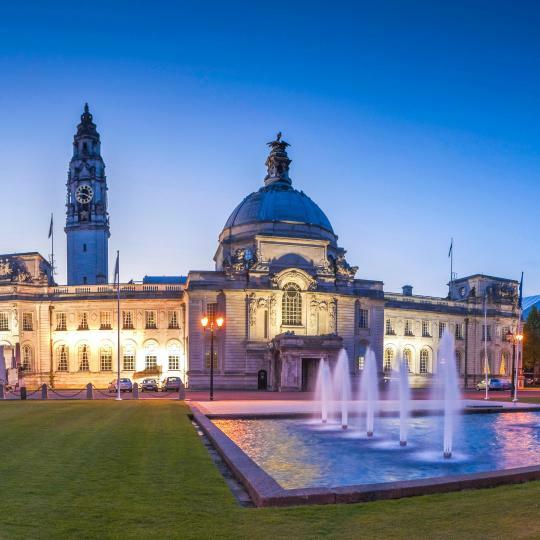 Cardiff and Swansea offer plenty to do with vibrant nightlife, concert venues and an abundance of restaurants, bars and clubs. Wales has 5 Michelin-star restaurants, varying in location, price-range and cuisine. Abergavenny draws in crowds to its famous food festival every September. Cardiff’s National Museum of Wales, Fagan’s History Museum and Caerleon’s Roman Fortress give a great overview of Wales through the ages. I used Llandovery as a base to mostly go out driving around the Brecon Beacons and mid Wales countryside. There would be plenty to do for outdoorsy people, beautiful scenery and plenty of places to walk. Interesting town and beautiful setting. Interesting town and beautiful setting. The castle was fun to tour, loved the marketplace, and all the fun restaurants. We ate at the Stones (excellent) and the Tiniest Pub in Wales (good) Loved our B & B Victoria House. Everything about it was excellent! Lovely coastal town in friendly, quaint Wales. Lovely coastal town in friendly, quaint Wales. The walk along the beach promenade to the point with the old castle ruins is relaxing and amazing at the same time. The Marine hotel was very comfortable, reasonable, and the food was above average. Highly recommend this town for a quiet and relaxing getaway. The hotel was a great and the rooms was really clean and lovely , John and Ricky were good hosts and John was really welcoming when my and husband got to nothing was to much for him the view from the room was fantastic and the view of the lake at was good next time we go to Wales I would stay here again if could say if there was a number from 1 to 10, I would rate at 10 out 10 thank John and Ricky for a lovely weekend from mick and Sandra Jones. Getting around tal-y-llyn was easy . Set in beautiful scenery, Porthmadog is a great place to explore the mountains and beaches of that part of Wales. The town itself provides for all needs though eating at night is restricted and not great. Plenty of attractions for kids within driving distance, but don't go without a car. Aber has a variety of things to do. Aber has a variety of things to do. Some good restaurants and shops. Lovely sea views and stunning sunsets. A great base for exploring mid Wales. Seems to have everything for every age group and is close to all of north Wales beauty, victim of its own success as stuffed to the gills with tourists at peak times. 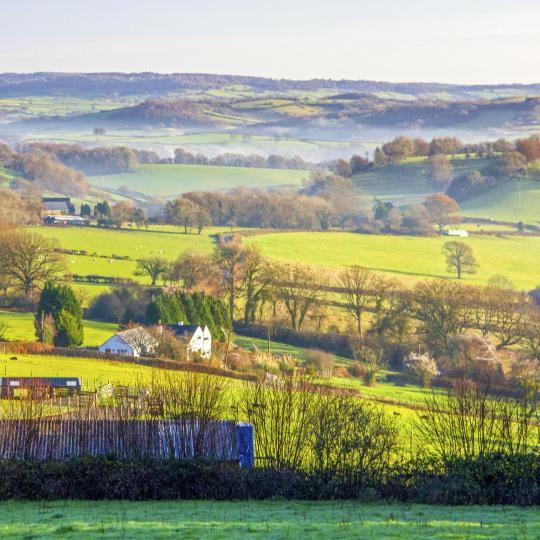 Builth is approximately the geographical centre of Wales, which means that one can have many "one-day" expeditions by car to interesting places. We visited Aberystwyth and rode on the Vale of Rheidol steam train; the Elan Valley reservoirs and enjoyed a long walk by the water; had lunch in Bishop's Castle in Shropshire, and drove miles through the beautiful Welsh hills. Builth is a small village/town on the River Wye. It has a limited selection of restaurants, but there are several in the near countryside. If you wish to explore Snowdonia, Harlech is the perfect spot to drive out from and then come back to to enjoy sunset over the Irish Sea. It doesn't suffer from too many visitors and yet has everything one needs on a vacation in Northern Wales. Close to Mt. Snowdon and on the coast with beaches. Cannot day enough amazing things about the Edinburgh hotel and staff making our ferry journey from Ireland to Wales comfortable and manageable. Our ferry ran hours late and we did not get in until 2:30 am - the staff could not have been more accommodating and graciously waited for us to arrive that night. The place is very clean with nicely appointed rooms and comfortable beds. We had a freshly made breakfast whenever we wanted it in the morning. Perfect spot right across from the Holyhead ferry terminal so perfect so late night arrivals. Very well situated for watching Wales Rally GB. Arrived rather late around 10pm (after terrible traffic through Birmingham) but still made to feel welcome. Early start next morning meant we would miss breakfast but hotel offered a complimentary packed lunch which was great, especially considering we were on a room only rate. Room very nice with comfortable beds and adequate bath/shower with plenty of hot water on tap. Hospitality tray with tea / coffee / hot chocolate and REAL (non-UHT) milk. Delicious English (or should I say Welsh!) breakfast with quality ingredients. Warm hosts made the stay like a home from home and they are very helpful and knowledgeable about the area. I've holidayed in Criccieth for years and this part of town is, in my view, the best location and is great for visiting all around Snowdonia and North Wales. There is no parking dedicated to the hotel but we did not have any problem parking outside even in mid-August. The owner was great. At one point during our stay, we were the only ones in the hotel (it was the end of the season before school started). Bed was pretty big for Wales/England standards (bigger than a double...believe it was almost a King sized bed). The decor was different, but cool. The food from the restaurant was very good (he cooked just for us one night). We chose the hotel for the excellent location. It was not far too travel to all the places of interest in North Wales. There was little or no traffic noise from the road, so we slept well. Breakfast was good, and the service excellent. There was adequate parking for all the guests, and the walk into town was easy. We would stay there again. Gracious hotel with comfortable, modern rooms (we stayed in the Stables), good bar and restaurant. It was perfect for our family group of two couples on a travelling visit to Wales and heading from South to North. Beautiful surroundings. We had great memories from a prior stay many years ago and it was just as we remembered - lovely. We stayed three days at St. David's Hotel and it was lovely, from the surroundings, to the wonderful staff and food ~ definitely worth the price. The property is in city centre and has beautiful views of the garden, church, and green fields around the city. A must see for your travelers of SouthWest Wales. Western Wales and St. David were wonderful and historic. The hotel was an easy walk to town with shops, pubs and restaurants. The hotel is new and well furnished with lots of contemporary art. The staff is very friendly, courteous and helpful to a fault. Be sure to tour the Bishops palace and the cathedral. A wonderful hotel just beyond the old city walls of Conwy. Room was very comfortable with a beautiful view of the bay and castle walls. Delicious breakfast. The owner has an excellent knowledge of north Wales and is a great resource about where to go and what to see. The owners of this guest house are a pleasant to meet. The guest house is clean, good location and the home made breakfast was brilliant, much better than those served in a chain hotel. The nearby Elan Valley is a must go place in Wales. Will return for sure. Breakfast was freshly cooked on arrival every morning. Room was clean and comfortable. Hotel good central location for walking to places of interest in Betws-y-Coed, and also for travel to other locations to visit in North Wales. Jan and Colin are lovely people and genuinely cannot do enough for you. The accommodation is superb and the breakfast selection is as good as any hotel at 3 times the price! The welcome at Bryncoed is surely the warmest in Wales! Clean modern hotel. 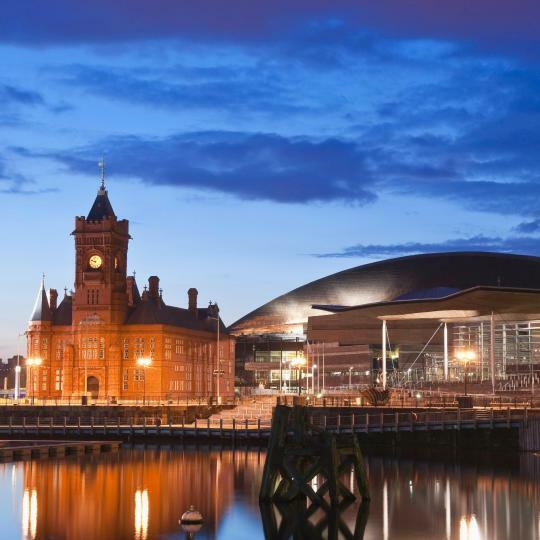 The Location is near the Red Dragon Center the Wales Millennium Centre (Canolfan Mileniwm Cymru) and a couple of blocks from Welsh Assembly (Cynulliad Cenedlaethol Cymru) and the Pierhead Museum. Excellent location, facilities and customer service. Convinient base for family with kids to visit South Wales. Overall nice apartment. Attentive staff, Spa, view. Hotel is on the Wales walk near cliff top views. We will go back to that hostel for sure on our next visit to north Wales! Signature room spacious with a sofa and two chairs in the sitting area and a huge comfortable bed. Leisure facilities excellent. Breakfast unhurried and as good as you’d get in the main dining room. Beautiful property, fabulous gym facility with amazing pool, the restaurant food was delicious.